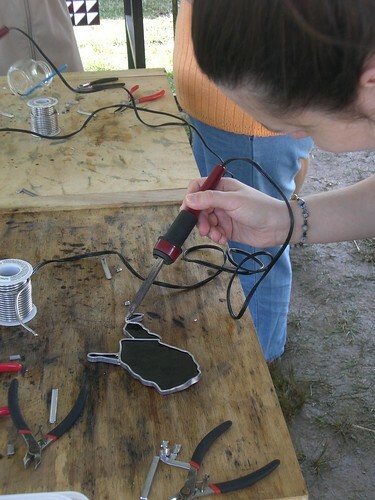 Courtney making a stain glass state ornament, originally uploaded by justgrimes. Flickr licensed under the Creative Commons. For many years I have wanted to create art in the medium of Stained Glass. 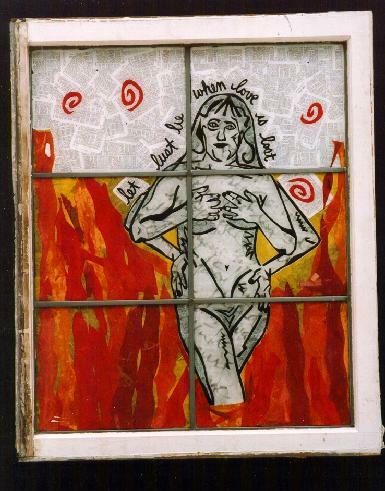 My glass window collage series was aiming to have the transparency and feeling of stained glass. Many of the pieces look wonderful with light shinning behind them. I like the compartmentalized look of stained glass and have even tried to translate that idea into fabric. What medium would you experiment with, if you had unlimited time and resources? What fears are holding you back? This entry was posted in The Pulse and tagged art, medium, Playing Favorites, questions, stained glass, The Pulse on September 12, 2008 by Sheba. My Mask Keeps Changing, originally uploaded by stilettoheights. 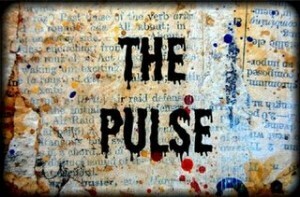 I have to say, and in only 3 days, Seth’s newest edition to the PULSE is going to change my life. I am discovering some new wonderful artists. Yet, I have barely read through half the list of artists. WOW! Jennifer is my new favorite artist! I discovered her on Seth’s PULSE. This entire set is to die for! I love her style and her sense of sophistication is stunning. I thought they were digital at first, but after reading descriptions at etsy, it looks like they are all paper and paint. 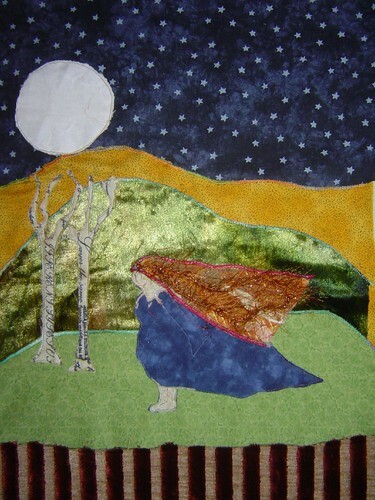 She is self publishing several books of these collages, some with poetry. She has a great etsy shop and has self published some books that I think I HAVE to buy! If you haven’t checked out Seth’s Blog yet… get over there right now! 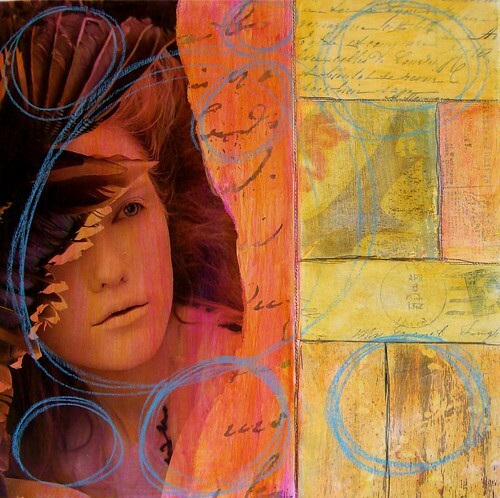 This entry was posted in Cool Websites, Passions and tagged collage, Fantastic Artsy Types, Playing Favorites, The Pulse on August 21, 2008 by Sheba. I love how Seth names these entries in The Pulse. Here is my entry from today’s segment. Now, Go see what other artists are saying about their artistic style. 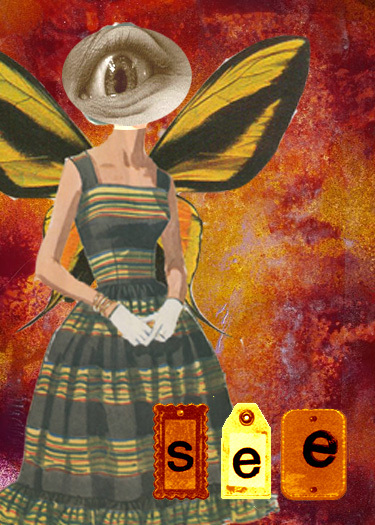 This entry was posted in The Pulse and tagged collage, Playing Favorites, questions, style, The Pulse on August 20, 2008 by Sheba. This entry was posted in Passions and tagged Playing Favorites, questions, The Pulse on August 17, 2008 by Sheba. Seth at The Altered Page will be going LIVE with his next round of questions with The PULSE this coming Monday. As he prepares for a month of Q & A with 80-plus artists (and counting) I am taking a walk down memory lane. Next on the list is Picture Perfect. 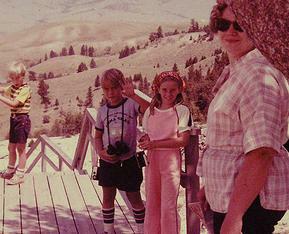 I have been taking photos since my early days as a kid travelling though Europe. Dad was a dark room enthusiast and shared his passion. Before college I often found his passion to be a burden, when he forced us to stand in front of every statue, windmill and geyser in the world! But then I took photography, learned darkroom processing and the joys of taking pictures. Later I finally got my hands on a digital camera so the cost and time of taking/ processing pictures went down dramatically. I love taking pictures… admittedly most of them of my dog or my art. Ever since I bought my first digital camera, I have taken many opportunities to go on Photo Walks. Sometimes by myself, but more often with my dog and occassionally with friends. I prefer to look at things close to the ground, often setting my camera on the ground to take the shot. 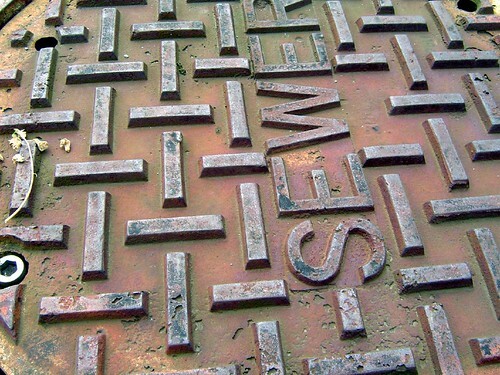 I love to look for patterns and textures. This photo has not been altered nor cropped. This entry was posted in EBSQ, The Pulse and tagged art, awards, EBSQ, photos, Playing Favorites, questions on August 16, 2008 by Sheba. When haven’t I created something that was mixed media? 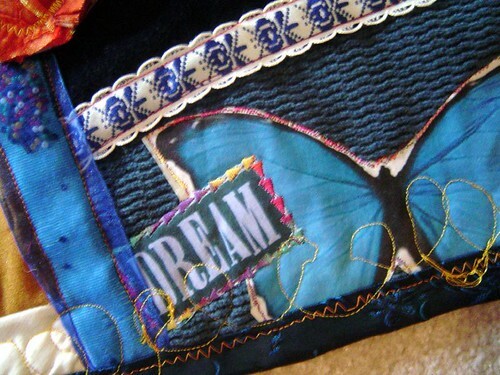 Paint, paper, fabric and embellished with stuff… would probably describe anything I have made. So to pick a mixed media favorite is going to be very, very difficult. I don’t even think I could pick a favorite of the ones displayed in Seth’s blog for Playing Favorites: mixed media 1, because I love to look at other people’s mixed media art as much as I like to create my own. It is obviously a well loved art form, since he had to break it into two seperate posts to contain all the wonderfulness. This is a wonderful mixed media doll sculpture that I made at ArtFiberFest a few years back. She is my favorite because it was really my first time really embellishing the heck out of something and I LOVED it! Where does art live? When does the muse come to visit? Will she arrive in her fancy frocks or grungy jeans ready to get down and dirty? This doll represents my muse when she is dressed to go to the gallery and make an enterance. See larger detail images here This doll is created with a base body of a men’s tie. 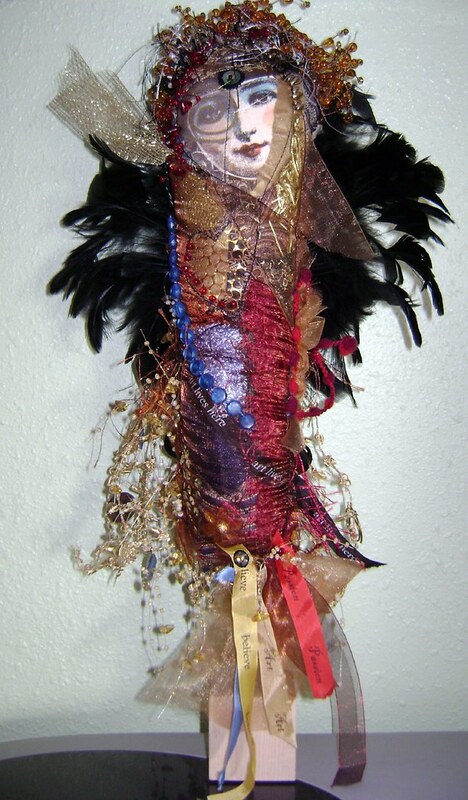 It is embellished with buttons, beads, feathers, ribbons, tulle, coins, sequins, paper, wire and many different types of fabric. Her stamped face is sewn in and painted on paper with watercolors. Little pockets are sewn onto the front in sheer ribbon and each pocket is stuffed with yarn, beads, gold powder, other fabrics, sequin waste and even tinsel. Inspired by Kate Lyons and her dolls. This entry was posted in The Pulse and tagged dolls, EBSQ, mixed media, Playing Favorites, questions, sculpture on August 15, 2008 by Sheba.